The back and tail are bluish-gray. The head has dark, almost black, hood-like markings. The face has a conspicuous, broad, black, “mustache” mark. The underparts are light with small dark spots. The sides are pale with narrow black banding. Prairie Falcon (Falco mexicanus) has a lighter head, much thinner “mustache”, and dark wing pits visible from below in flight. Mostly medium-sized birds, including pigeons, waterfowl, shorebirds, flickers, and larger songbirds. Rarely small mammals. 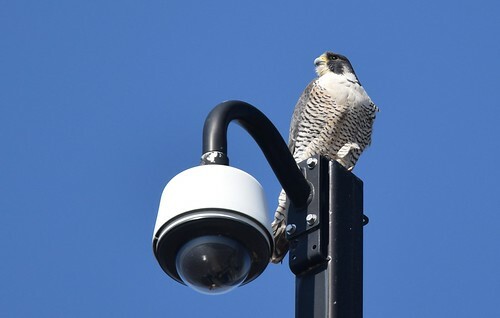 In 1999, the US Fish & Wildlife Service removed American Peregrine Falcon (Falco peregrinus anatum) from the Federal List of Endangered and Threatened Wildlife. It was determined that the subspecies “has recovered following restrictions on organochlorine pesticides in the United States and Canada, and following the implementation of successful management activities.” In 1996, the Minnesota Department of Natural Resources (DNR) reclassified it from endangered to threatened. In 2013, the DNR reclassified it from threatened to special concern. 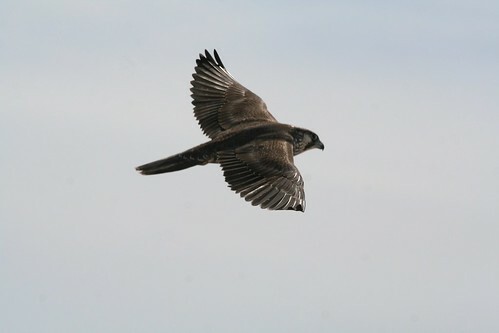 * There is some disagreement whether Barbary Falcon (Falco peregrinus pelegrinoides) is a subspecies, or a distinct species (Falco pelegrinoides). If the latter, then it also incorporates Red-naped Shaheen (Falco peregrinus babylonicus). 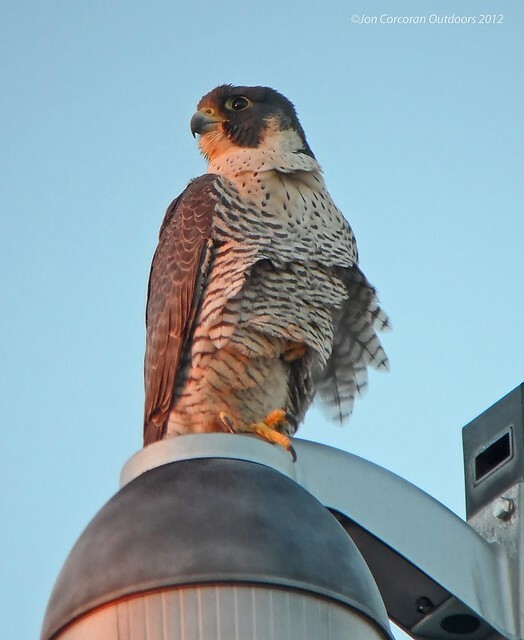 Peregrine Falcon is the Fastest Animal in the World! Coyote Peterson is getting an education in speed from the fastest animal in the world the Peregrine Falcon! This stealthy bird is one top predator and in the wild can reach speeds well over 200MPH but today we are going to slow things down a bit to hang out with our new friend Aragon. Aragon is a falcon that was injured but was lucky enough to have found a new home at the Ohio Wildlife Center and is now a representative for his species and a proud feather donor for other birds that need a little help. One thing is for sure, these birds are absolutely beautiful! Bizbul watching finches and sparrows, preening, and stretching..